Home / Company News / Thank you Galeforce! On behalf of our Committee and Trustees, I wanted to write to say a heartfelt “thank you” for your generous support of our Soulfood Winter Warmth 2016 campaign. What an incredible month of blessings for the community of Ntshongweni and Shongweni. 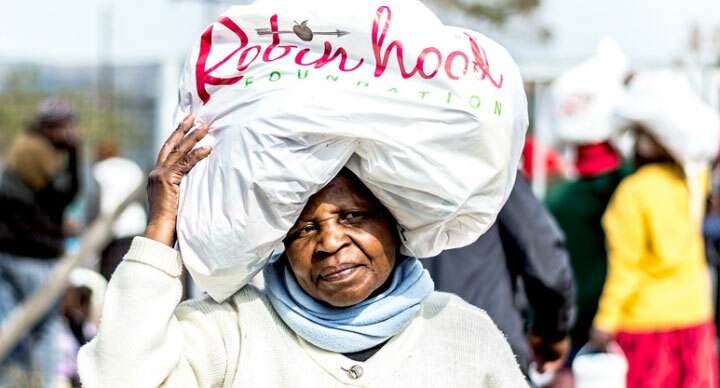 Thanks to your support and that of our incredible community, both projects saw us bless over 1 000 families with big, heavy Gogo bags filled with clothing, winter warmth items such as blankets, scarves, beanies and non-perishable foods as well as delicious and hearty chicken stew, samp and beans and bread for them to take home to their families as well as a fun morning with our volunteers serving them fresh hotdogs, biscuits and tea whilst Qadasi & Mahinqa added to the very South African ‘ubuntu’ theme with their awesome live performance. With the Gogo’s and Mkulu’s and the orphaned and vulnerable cases in these communities, most families have 4 or more family members to feed with little to no income so for over 5000 people that benefited from these projects, a welcome blessing and a truly memorable morning with a wonderful team of volunteers. We are so grateful for your support! Thank you! Thank you for being a blessing to those less fortunate!